With the exponential growth in the adoption of mobile devices like smartphones and tablets for viewing websites, the need for responsive web design is gaining more ground. If you do not know anything about “responsive web design”, then it is better to learn a bit about it and then check out the tools and resources available for it. 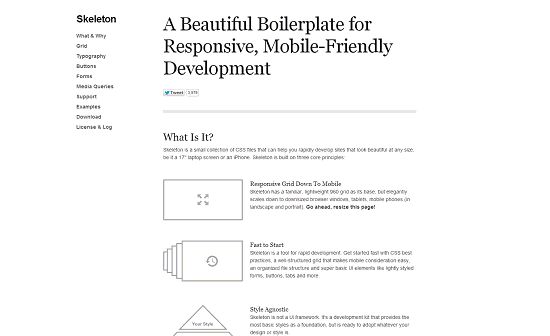 But I will try to give you a short overview of what “responsive web design” actually is. It is a web design approach in which the website layout is flexible enough to adjust to the visitor’s device screen size and resolution automatically. It really doesn’t matter if you are viewing a particular website in a mobile phone, or tablet or laptop or a large high-resolution monitor, as the website will automatically adjust to various screen sizes and change its layout accordingly to give the visitor the cutting edge experience they desire. In this series, we are trying to present before you some of the most valuable and important tools you will ever need in your responsive web design process. It will be a large list comprising of over 50 tools from a variety of categories all belonging to the same responsive web design genre. So, we have decided to cut down the boredom of reading a long list by dividing it into small parts each dealing with dedicated tools and resource categories. First, we are starting out with the grid systems and frameworks. But before we start, if you are planning to get your next project done on Joomla, WordPress or Drupal, then you’re lucky enough to arrive at the right place. It’s really worth checking out some of the most outstanding services provided here at corePHP, by some of the most skilled and experienced experts. It is one of the most popular and feature-packed framework which can give you almost everything you need for your responsive web development process. Skeleton is a simple yet powerful CSS grid system which offers a lot of basic features to deal with common web layout tasks. As the name suggests, it is a clean, simple and light-weight semantic grid framework making full use of Saas and Bourbon. Check out the docs here. If you love minimalistic designs, then Simple Grid is something that you need to check out right now. It also works great on high resolution monitors like 1140px, giving you a cutting edge experience. HTML5 Kickstart is the new kid in town which is very lean (about 300KB) in size but packed with its rich set of features it promises to save hours of your development time. One of the best things I like about Profound Grid is the preciseness with which it renders fluid grid layouts in all the browsers it supports. 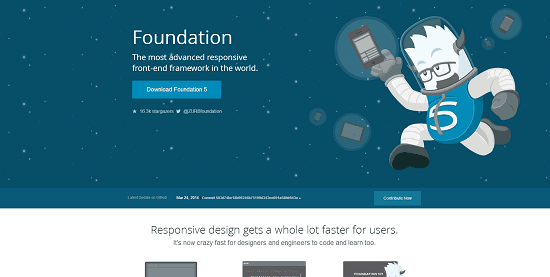 The Foundation framework by ZURB, is yet another very powerful and popular responsive front-end framework you can use. If you want a bit more control and flexibility on the number of columns you need, which other grid systems do not offer, then Responsive Grid System is the suitable choice for you. 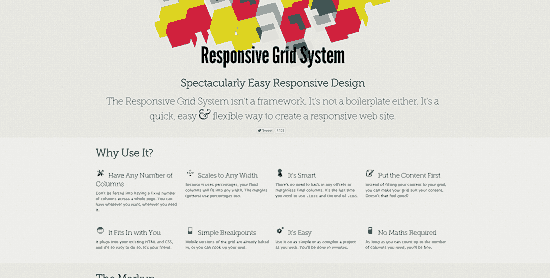 It is yet another very popular grid system based on the 960grid. So if you are well-familiar with the 960 grid, then you must give it a try. It is one of the first and most popular framework which enables you to get your HTML5 websites and web apps running in almost no time. So, stay tuned for the next part of the series. 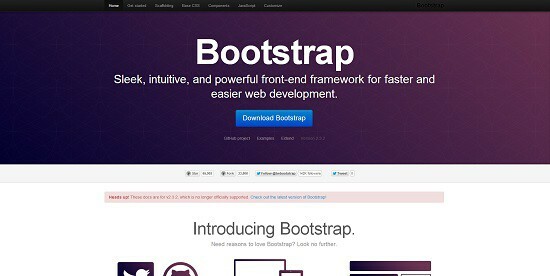 This entry was posted in Web Design and tagged Frameworks, Grid Systems, Joomla, Responsive, web design on March 27, 2014 by Aritra Roy.